Posted by The Way to Akhirah , 09:16:00 Be the first to comment! Respected scholars! 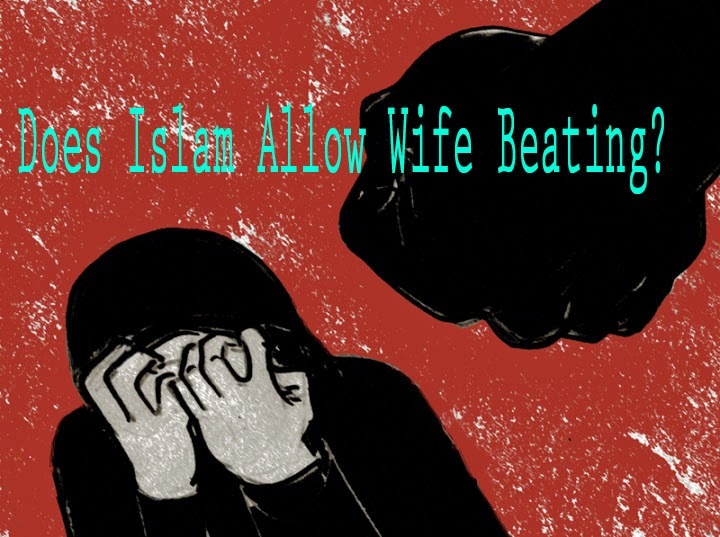 Does Islam allow wife beating? Some husbands are violent and they say that the Quran allows them to beat their wives. Is there any logical explanation given regarding men being allowed to beat their wives, as stated in Surat An-Nisaa, verse 34? Dear questioner, we would like to thank you for the great confidence you placed in us, and we implore Allah Almighty to help us serve His cause and render our work for His Sake. The verse you mentioned has been greatly misconceived by many people who focus merely on its surface meaning, taking it to allow wife beating. When the setting is not taken into account, it isolates the words in a way that distorts or falsifies the original meaning. Before dealing with the issue of wife-battering in the perspective of Islam, we should keep in mind that the original Arabic wording of the Holy Quran is the only authentic source of meaning. If one relies on the translation alone, one is likely to misunderstand it. It is important to read the section fully. One should not take part of the verse and use it to justify one's own misconduct. This verse neither permits violence nor condones it. It guides us to ways to handle delicate family situation with care and wisdom. The word "beating" is used in the verse, but it does not mean "physical abuse". The Prophet (p.b.u.h.) explained it "dharban ghayra mubarrih" which means "a light tap that leaves no mark". He further said that face must be avoided. Some other scholars are of the view that it is no more than a light touch by siwak, or toothbrush. a. It must be seen as a rare exception to the repeated exhortation of mutual respect, kindness and good treatment. Based on Quran and Hadith, this measure may be used in the cases of lewdness on the part of the wife or extreme refraction and rejection of the husband's reasonable requests on a consistent basis (nushuz). Even then, other measures, such as exhortation, should be tried first. b. As defined by Hadith, it is not permissible to strike anyone's face, cause any bodily harm or even be harsh. What the Hadith qualifies as "dharban ghayra mubarrih", or light striking, was interpreted by early jurists as a (symbolic) use of siwak! They further qualified permissible "striking" as that which leaves no mark on the body. d. True following of the Sunnah is to follow the example of the Prophet (p.b.u.h.) who never resorted to that measure, regardless of the circumstances. f. Any excess, cruelty, family violence, or abuse committed by any "Muslim" can never be traced, honestly, to any revelatory text (Quran or Hadith). Such excesses and violations are to be blamed on the person (s) himself, as it shows that they are paying lip service to Islamic teachings and injunctions and failing to follow the true Sunnah of the Prophet (p.b.u.h.)."